I've been posting about a home we recently finished up the countertops in with contractor Tiek Built Homes and Interior Designer Caitlin Creer. Today I have pictures of the Master Bath. 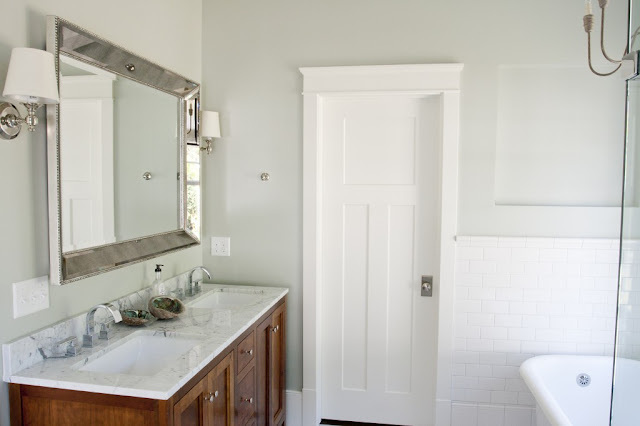 We did 2 cm Carrara marble on the vanity and the bench in the shower. The edge detail is a 3/4" Square Polished edge. The Carrara looks really great on the brown cabinets. 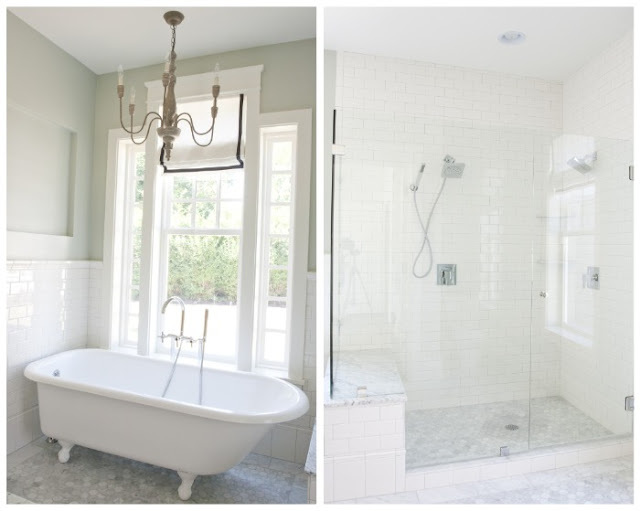 A lot of times people think they have to use white cabinets with white marble. As you can see here, that's not the case! Notice the rectangle sinks. 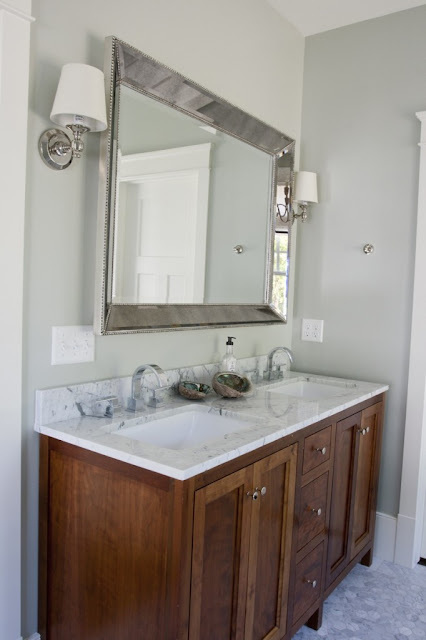 I love the look of a rectangle sink, I'm pretty sure I'll go rectangle when I re-do my Master Bath. We actually sell sinks as well and these did come from our stock. To see pictures of the Master Bedroom (it's really gorgeous) go here. Caitlin Creer Interiors did a beautiful job with it.